NEW YORK, UNITED STATES, April 12, 2019 /EINPresswire.com/ -- Summer holidays are just around the corner and it is time to get ready. Luggage is usually an aspect that we tend to forget - it is often left at the back of the closet and we underestimate its importance when we travel. Learn how to get the most out of your suitcase with these useful tips amd find out the best reviews of luggage. Luggage come in many different designs, and this is not just a matter of taste. Depending on the purpose or kind of your trip, you can choose among different sizes, compartments, shapes, etc. Defining your trip will help you make your choice: a garment bag for a business trip, a small hand luggage for a low cost getaway, a bag for a backpacking adventure... 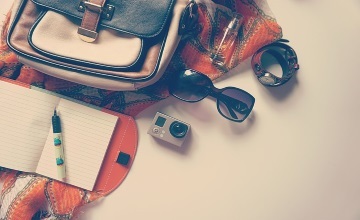 Think how you travel the most to take the most out of your suitcase. The travel luggage is usually treated badly - at some point, it is quite likely that some parts have scratches or appear broken. To solve this issue, you will have to notify the customer service of your luggage. A good suitcase should include a good warranty (around 5 years). If it does, you will be sure that your suitcase will be safe and sound even after the worst flights. Investing a little bit more in the initial prize may imply that the suitcase will last long.